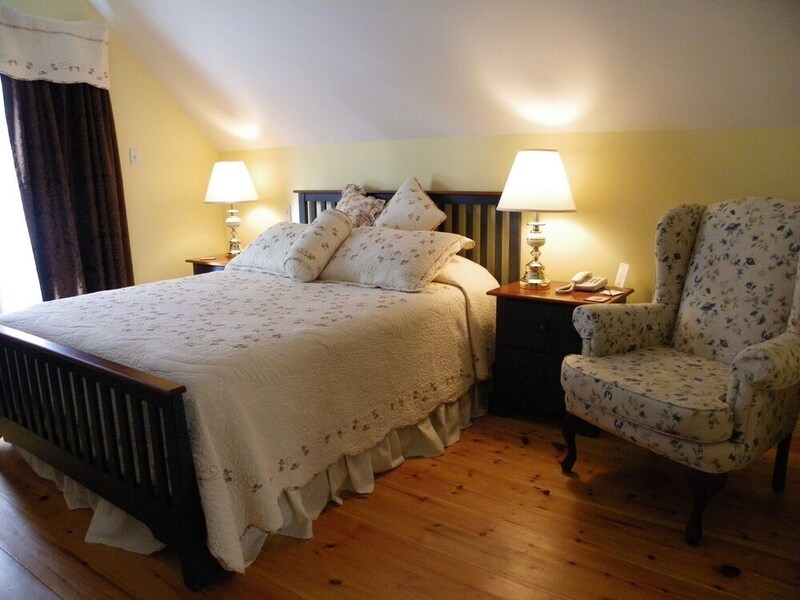 Located in the heart of Fredericton, this bed & breakfast is within 1 mi (2 km) of Bill Thorpe Walking Bridge, Gallery 78, and Beaverbrook Art Gallery. Christ Church Cathedral and Officers' Square are also within 2 mi (3 km). A refrigerator in a common area, a garden, and free breakfast are available at this smoke-free bed & breakfast. Free WiFi in public areas and free self parking are also provided. All rooms are individually decorated and offer free WiFi and free local calls. For a bit of entertainment, guests will have flat-screen TVs with cable channels, and other amenities include free bottled water and ceiling fans. A complimentary breakfast is offered each morning. Wireless Internet access is complimentary. This business-friendly bed & breakfast also offers a terrace, a garden, and a refrigerator in a common area. Complimentary self parking is available on site. The Colonel's In Bed and Breakfast is a smoke-free property. Start your morning with a free full breakfast, available each day of your stay. Guests will receive an email with special check-in instructions prior to arrival. For more details, please contact the office using the information on the reservation confirmation received after booking.